How does David describe sin’s effect in his life? What life lessons can we learn from his experience? How does God respond to David’s confession? How does David respond to God’s forgiveness? When you think about God’s offer of forgiveness? What thoughts, what emotions, what responses come to mind? What would it look like to cultivate more honesty with yourself and with God about your sing and weaknesses? What would you tell the person that says this talk of sin and confession is old-fashioned and unnecessary? 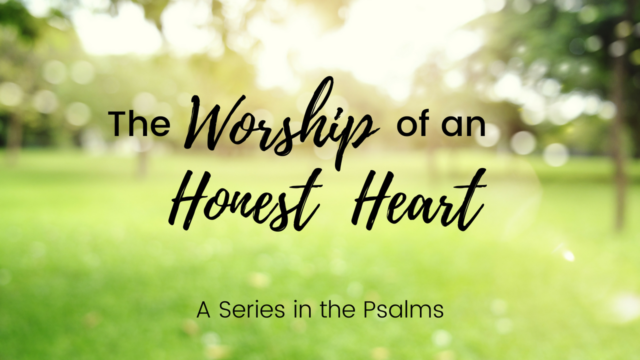 The Worship of an Honest Heart: Can We Trust God with Our Sorrow?